Curling Stones for Lego People: Christmas Blizzards! The new Trollbeads Christmas Collection has been out for a while now and I've been waiting patiently for my parcels to arrive. The bead I'd most anticipated from the new release was the Blizzard glass bead... clear glass with a little snow storm inside... and the added bonus - they glow in the dark! 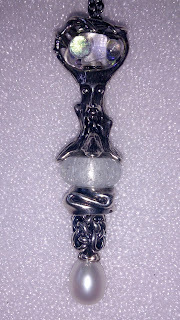 I was so sure I'd like this bead that I actually ordered 3 straight away without even seeing them in real life first. I wasn't disappointed with my decision to buy 3, in fact I can see me adding more over the years! My blizzards don't glow half as much as my Halloween Inner Glow beads from the 2012 collection but they are very pretty au naturel. 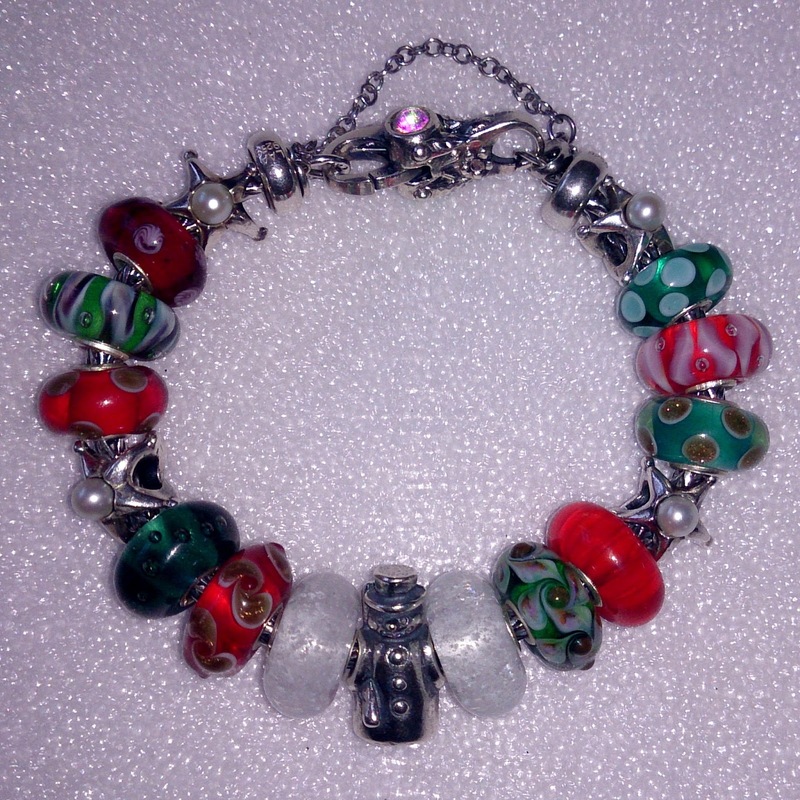 I set out to make a Christmas Bracelet and Fantasy Necklace. To ensure this doesn't become too cluttered I haven't shown you the bracelets & necklaces I made before I got to the final two designs! For the bracelet having only chosen 5 silvers (4 of which are the same) I figured I'd be able to just throw this one together... 2 hours later having had these beads in literally every combination they can go in I finally sussed it out!! The Fantasy Necklace was a less painful and less frustrating process; having tried out a few alternative colours I quickly settled on all all white, silver and pearl combo. Being a December baby Christmas in our house doesn't actually start until a few days before the 25th... however I thought I'd blog my finished designs early for a change as last year my red and green beads arrived so late so I actually made my Christmas bracelet in January - this year I would not be thwarted so easily, although I'll admit late-November is a tad early even for the dedicated Christmas fans! I absolutely adore my Fantasy Necklace in particular and I can assure you it won't just be for Christmas!